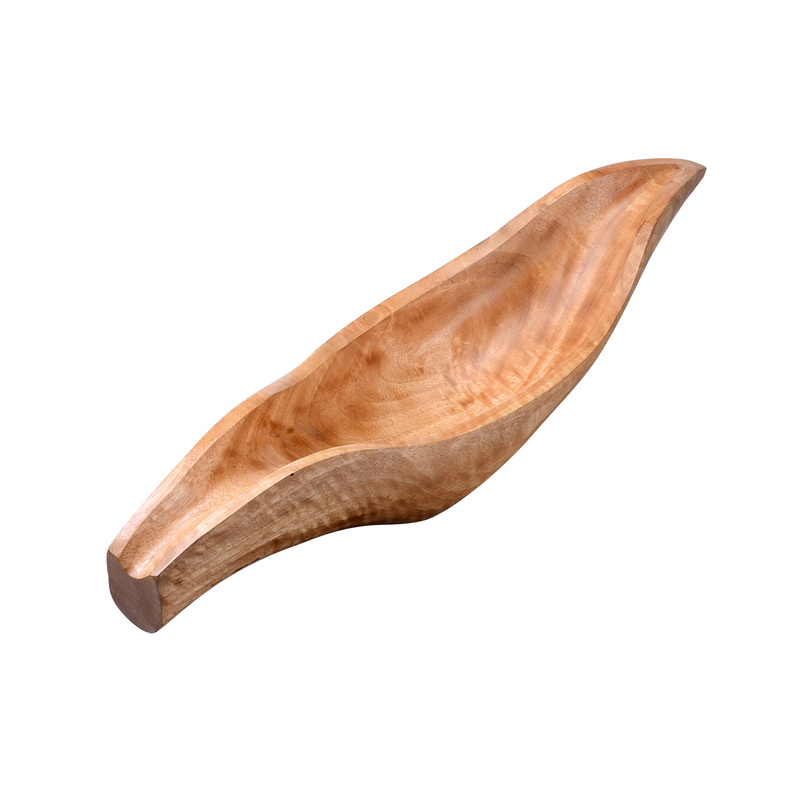 Great for displaying fruits and vegetables on the kitchen counter or dining table, the Villacera Handmade 20” Mango Wood Boat Bowl and Decorative Serving Tray adds just the right amount of style and texture to any space. Meticulously crafted by hand, the gorgeous wood grain provides an earthy feel while the sleek polished finish of the wood is the perfect mix of industrial and farmhouse style. Its curved edges and unique canoe shape is ideal for entertaining when used as a serving dish, platter or decorative accent to compliment your home decor. 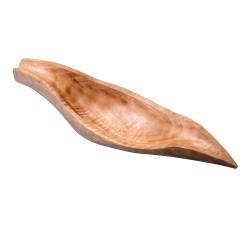 Each Villacera Handmade Mango dish is uniquely hand carved out of sustainable, durable mango hardwood, leaving minimal differences in the fresh, natural carvings of each piece. Eco-friendly mango wood is relatively hard and dense and therefore very durable, requiring little to no maintenance, providing your home and dining room with tableware for years to come. Dimensions: (L) 20” x (H) 5 1/4” x (W) 4”. Material: Mango wood. To clean, hand wash with damp cloth & towel dry. Do not let your mango wood item sit in water or remain wet for extended periods of time. Wash before use. 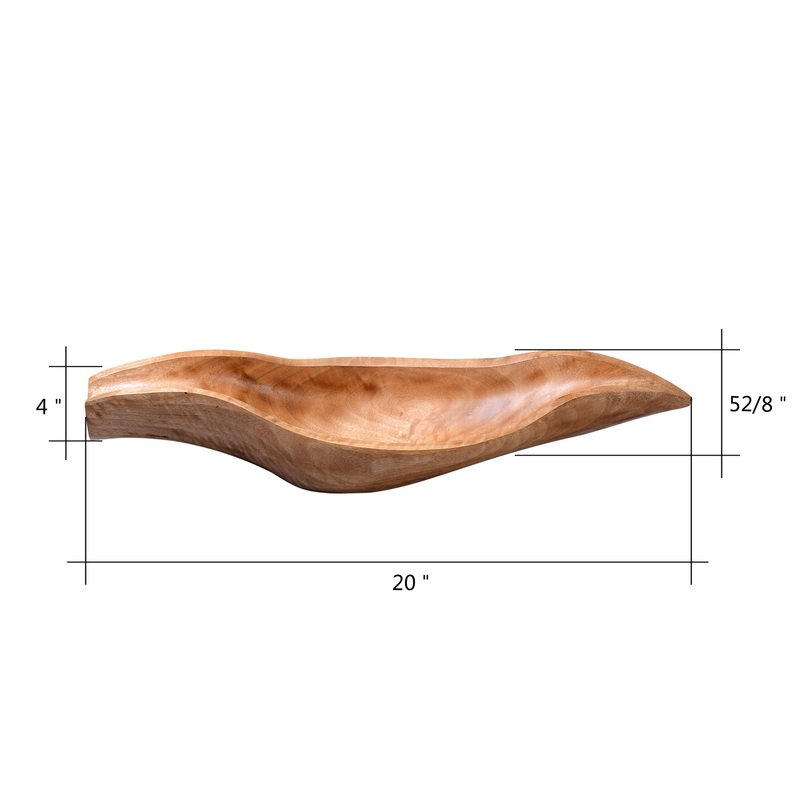 UNIVERSAL DESIGN-: Unique curved edges and food safe finish allows for multiple uses; a serving dish for salad, fruit or nut bowl or decorative accent to compliment your home decor. GENEROUS SIZE- Set on a wide base, this 20-inch serving bowl provides ample space for fruit, vegetables, cheese and crackers, salads and meat off the grill, whether you are entertaining or serving a family meal. HARDWOOD CONSTRUCTION- Not only a stylish, with its natural rustic finish and deep hand-carved grooves, it’s also made sturdy mango wood, making it durable, eco-friendly and no negative impact on the environment. 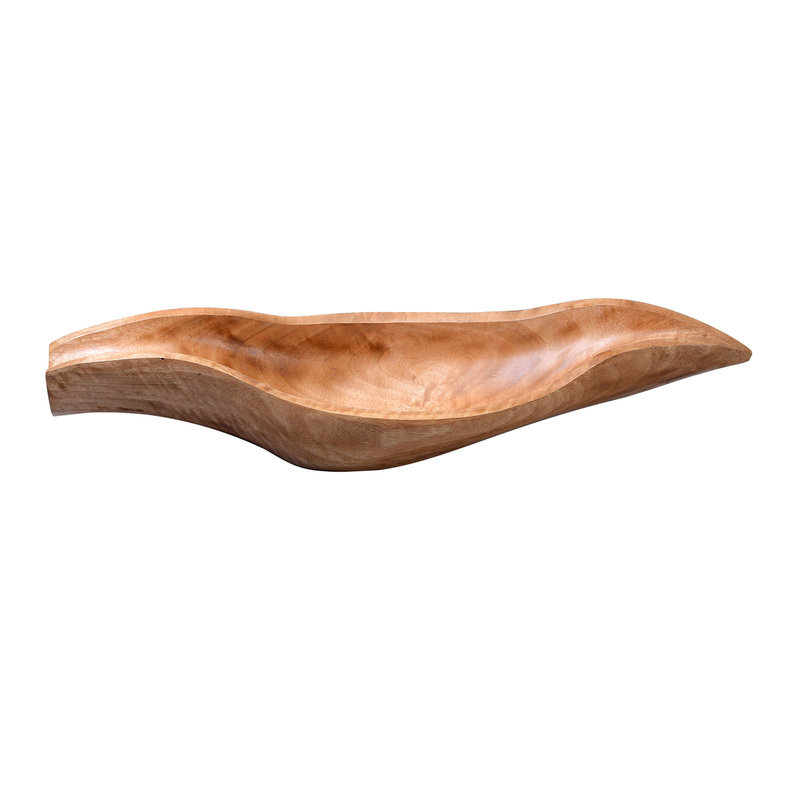 HAND CRAFTED- Each Villacera Handmade Mango Serving Dish is uniquely hand carved out of sustainable mango hardwood, leaving minimal differences in the fresh, natural carvings of each piece. PRODUCT DETAILS- Dimensions: (L) 20” x (H) 5 1/4” x (W) 4”. Material: Mango wood. To clean, hand wash with damp cloth & towel dry. Do not let your mango wood item sit in water or remain wet for extended periods of time. Wash before use.